A man drives a vehicle to get from A to B. He drives an SUV to carry stuff; lots of stuff. He can even drag it (tow it) if it becomes necessary. A man drives an SUV because it is burly, muscular, and can withstand a beating. 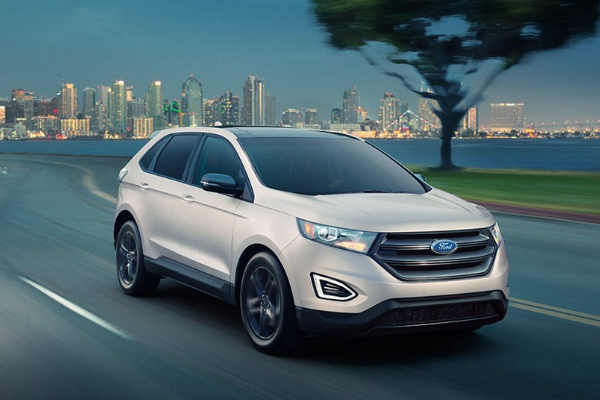 An SUV can conquer most weather and go off the beaten path without getting stuck. Unfortunately, these expectations are not always met by the automotive manufacturer, especially if your available parking space and budget are limited. 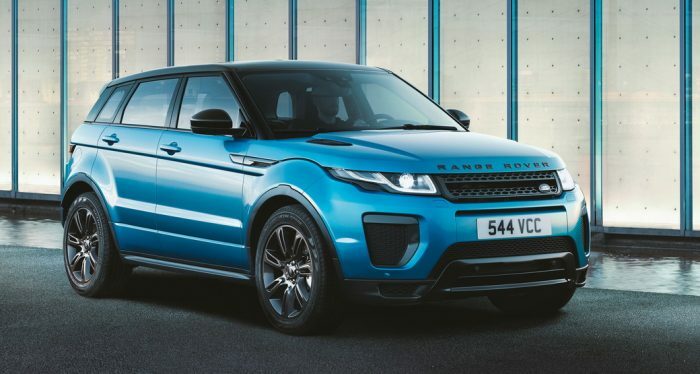 These slightly ‘limited’ SUVs go by the name, compact SUV, yet you won’t have to sacrifice much if you know what you want and what you’re actually getting. The Ford SEL offers a good compromise in power, space, and usability, although we might wait for the revised 2019 face of the Edge SEL. And we’d certainly lean towards the ST trim if you can swing the extra cash. Why? Just look at the smooth clean lines below, and then imagine that combined with a 335 horsepower, V6 turbo powerplant and 8-speed transmission. 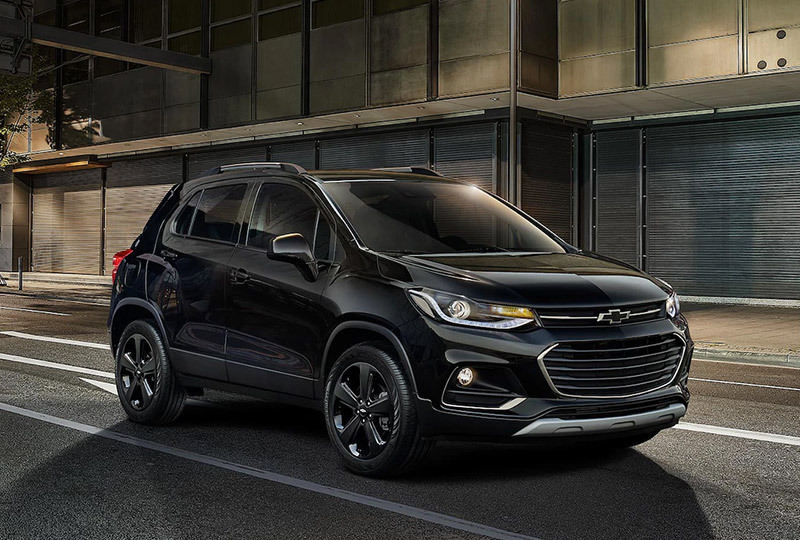 The Chevy Trax is a true ‘compact’ SUV, which unfortunately also includes slightly cramped seating quarters, minimal luxury accessories, and a wheezy 1.4-liter turbo powerplant. But as compact SUVs goes, the Trax is one of the smaller options, so if you`re adamant about downsizing to the max while keeping that overall SUV feel, this could be the compromise you’re looking for. The CX-3 offers a nice combination of space, sport, fun, technology (emergency braking), and practicality. It also keeps decisions to a minimum, utilizing a 146 horsepower 2.0-liter powerplant and 6-speed automatic as your only (albeit, reasonable and worthy) option. 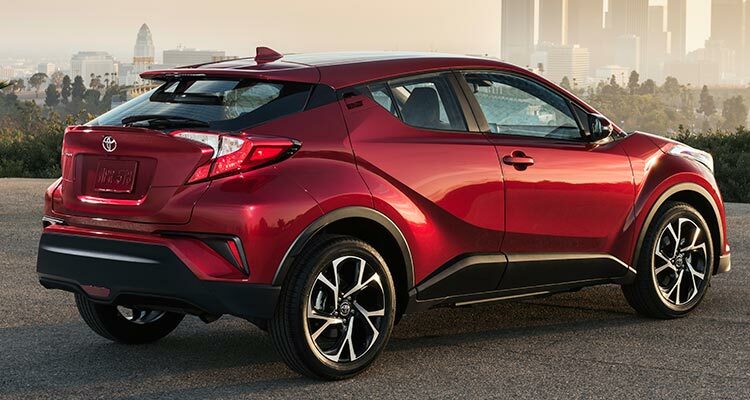 The C-HR is like the petite prom queen that everybody admires, but underneath all that beauty and painstaking design – is an SUV lacking excitement and practicality. We admit that it is one of the best looking options if that is most important to you, but that will come at the price of slow performance (11 second, 0-60), a noisy drivetrain, and not even the option for all-wheel drive. The Rogue may not stand out in any one particular aspect, as many of these others do – but that is what we’d consider its greatest strength. Why? Because it is everything, including sleek, reasonably powered (2.5-liter), economical (24 mpg), sporty (great steering and cornering), quiet (both inside and out), and offers forward collision warning and emergency braking standard for 2018. 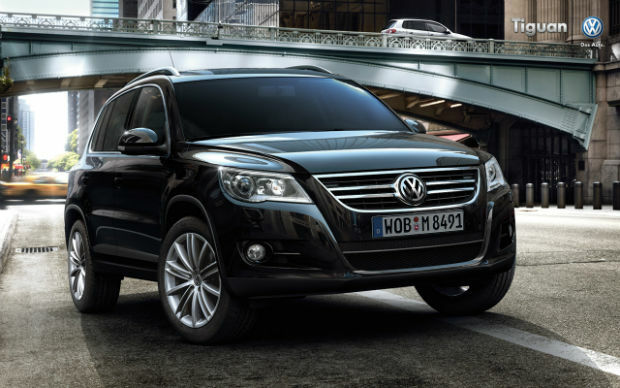 If you’d prefer a compact SUV that is small, but not exactly ‘petite’, the VW Tiguan offers a relatively large footprint for its class. What we’re basically saying is that it will not feel shadowed among the other giants roaming the urban streets. It also controls its size well under a 2.0-liter turbo (184 horsepower) that also offers an impressive economical footprint of only 25 mpg. 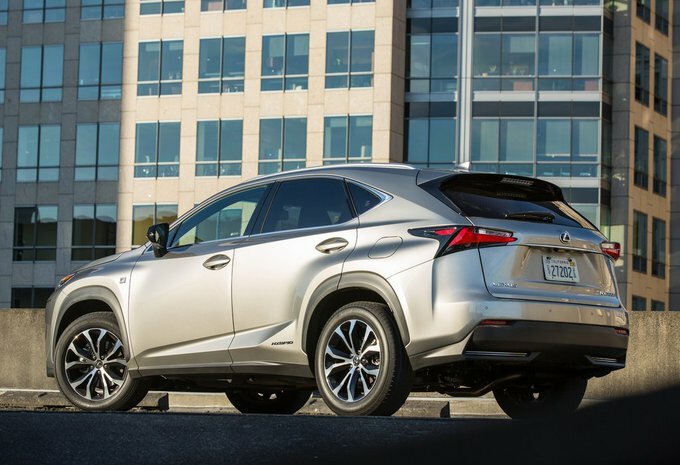 We love the slick modern design of the Lexus NX but with such an aggressive mug – it leaves us expecting just a bit more than a performance spectrum of 0-60 in 9-seconds. Lexus may have also jumped a bit too far in the future with interior touchpads that are more distracting than useful. But we certainly would not kick it out of our garage just for leaving an oil spot (not that it would). 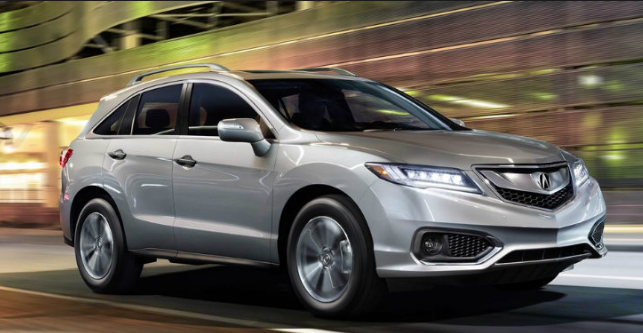 The RDX is one of the last compact SUVs to adopt a 2.something-liter turbo powerplant, and you’d expect that they would have at learned from the mistakes of others – and we think they have. With its 252 horses up front (and back, because yes it does come with AWD) it moves quite spiritedly thanks to a 10-speed transmission that we wish other manufacturers would get well acquainted with. 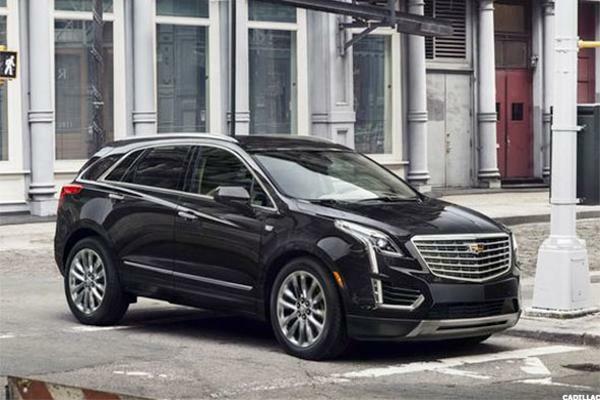 Cadillac tells consumers to “Master the Road Ahead,” and with a stout 3.6-liter V6 (310 horsepower) and 8-speed automatic at the helm of their XT5, you should pretty much be able to master anything while on your way from A to B. And you’ll get there in pure luxury, thanks to some of the best fit and finishing touches we’ve seen to the interior that will make those daily chores a real pleasure. 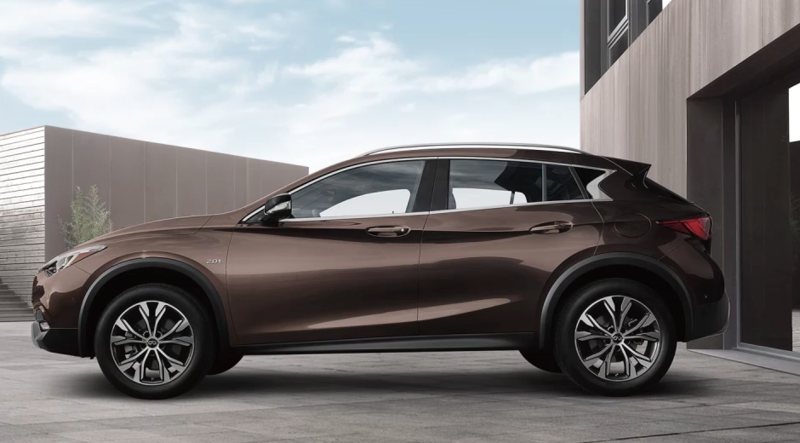 If you’ve always wanted a Mercedes-Benz GLA, but would much prefer a compact SUV within the $30,000 to $40,000 range – the Infiniti QX30 is as close as you’ll find – and by close, we mean very close. It comes with the same 2.0-liter seven-speed dual clutch system which throws up 60mph in just 6.7-seconds. 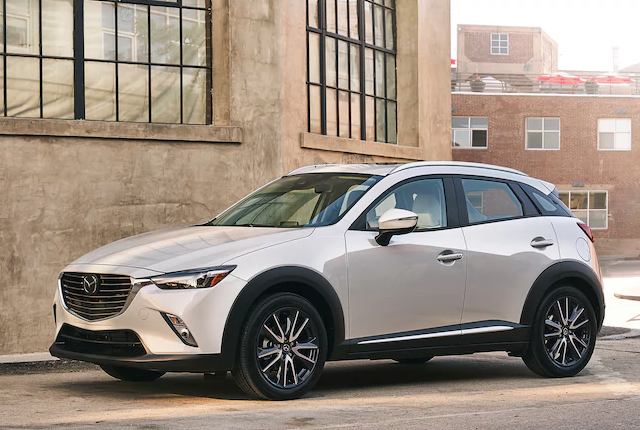 It also offers much of the same interior accents and refinement, which means you’ll get a lot of SUV in a ‘compact,’ yet reasonably priced package. If the Infiniti QX30 is not your type, and the BMW X1 is not your bag either, we’d suggest looking into the Audi Q3. It offers all the brilliance of their Q5 in a package that is just a bit more petite (10-inches shorter to be exact). 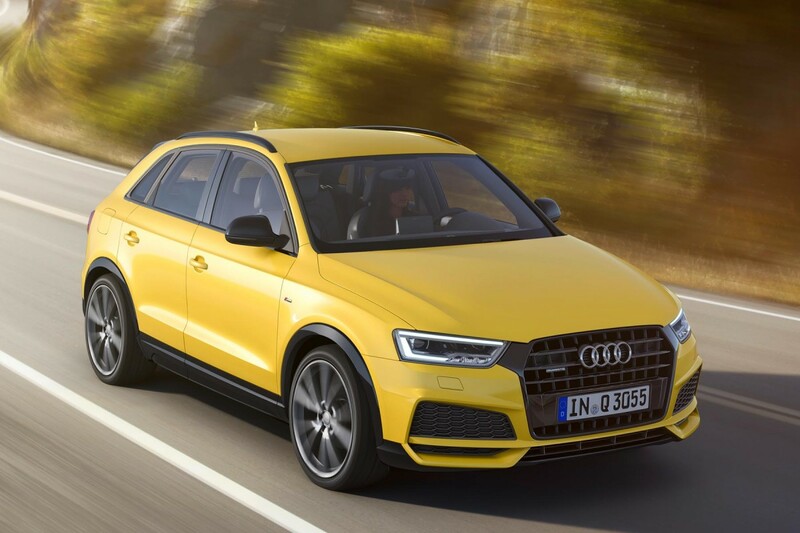 The Q3 features a quiet ride, spirited handling, 200 horsepower, 6-speed transmission, and a nice simple interior layout. If we were to give this SUV any criticism it would be that it is a bit too ‘compact’ for some chores, but then again, it is supposed to be. 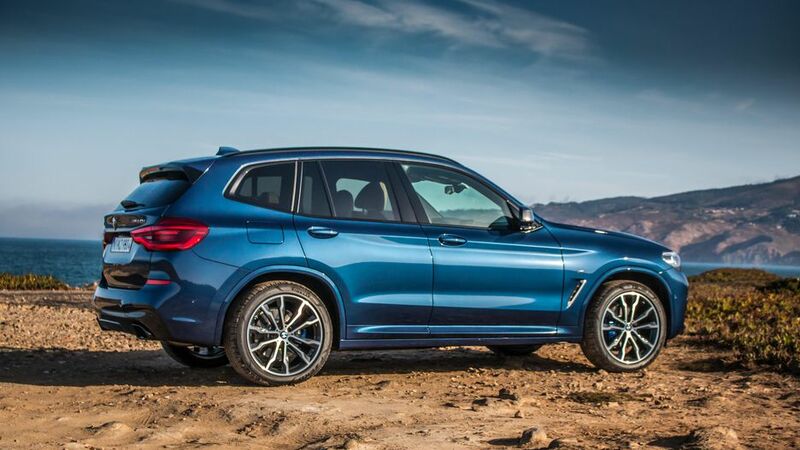 In a world of many compact SUVs to choose from, the BMW X3 remains consistently known as one of the best options. What’s not to like when it feature list reads: 248 horsepower (355-hp optional), 8-speed transmission, iDrive infotainment, and one of the most balanced (firm, yet cushioning) and quietest rides you will find in this class. 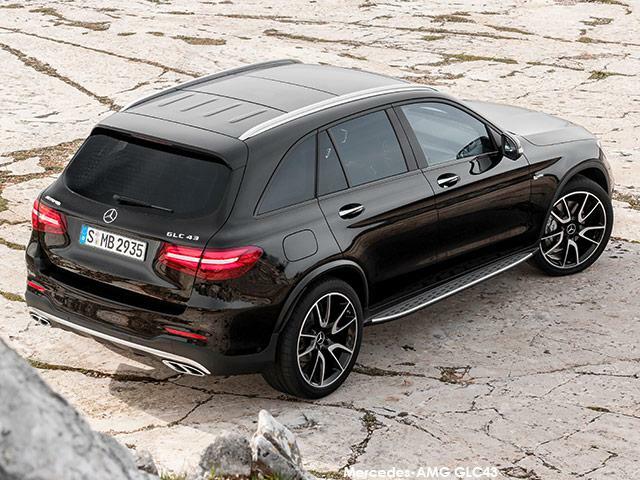 We’ve already mentioned the Mercedes GLA, which is a darn fine SUV – but if you’d prefer something a little more ‘mid-sized’ and ‘luxury’ oriented, there is one obvious choice that could almost never be wrong – the GLC. With its stout muscular build, 241 horsepower turbo 2.0-liter (upped to 362 horses with the AMG-enhanced 3.0-liter bi-turbo), 9-speed automatic, plush interior, and roomy front seats (rear seats not so much) – this is what living large, within a reasonably compact space, is all about. 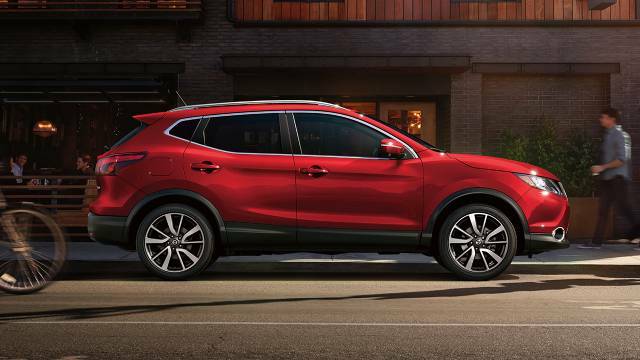 As we learned with the Nissan Rogue, occasionally, style gets in the way of function. But let’s first just look at this masterpiece, as it is certainly one of the best looking compact SUVs you will see this year. Okay, with that out of the way, allow us to turn your attention to those incredibly narrow rear windows in the back, which make it a real bugger to navigate in traffic. And those smooth lines we love so much are really not all that smooth once you’re traveling over 45 mph because the air turbulence can prove quite noisy. The handling is also a bit choppy, as is the 9-speed automatic. However, we still can’t help but admire (just perhaps not buy). The Range Rover has looks, the Infinity has refinement, and the Nissan has practicality. But the Porsche Macan, well it has true racing stripes (although we wouldn’t recommend adding them). With a capability of 0-60 in 6.3 seconds, the 2018 Porsche Macan is quick. It is also incredibly nimble on the road, meaning that you’ll find yourself forgetting that you’re actually inside an SUV – most of the time. And it isn’t just a stoplight bruiser and mountain road carver, it can tow up to 4,409 pounds, which puts you in line with towing some 20-foot-something camper trailers. 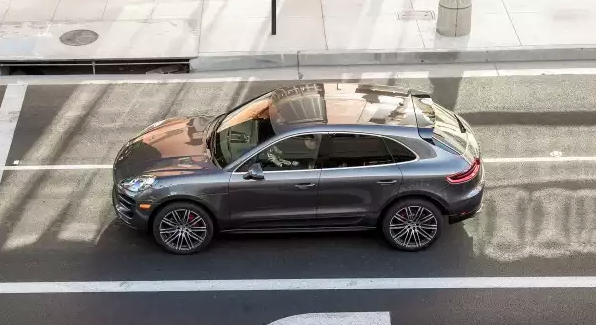 Some people like to drive something because it is “different,” but those who choose the Macan prefer it because it is simply one of the all-around best options today.